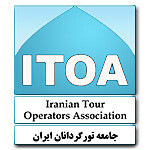 We will meet you at the airport of Tehran and transfer to the hotel. Overnight in Tehran. After Breakfast, We'll move to Sanandaj. After check in and resting in the hotel, In the afternoon we start our city tour in Sanandaj.we'll visit Asef House, Khosro Abad house and Abidar Valley. Asif's mansion, known as the Kurdish name in Sanandaj, is a symbol of the cultural identity of Kurds and the Kurdish anthropology treasure trove of the most valuable cultural and historical works of Kurdistan. 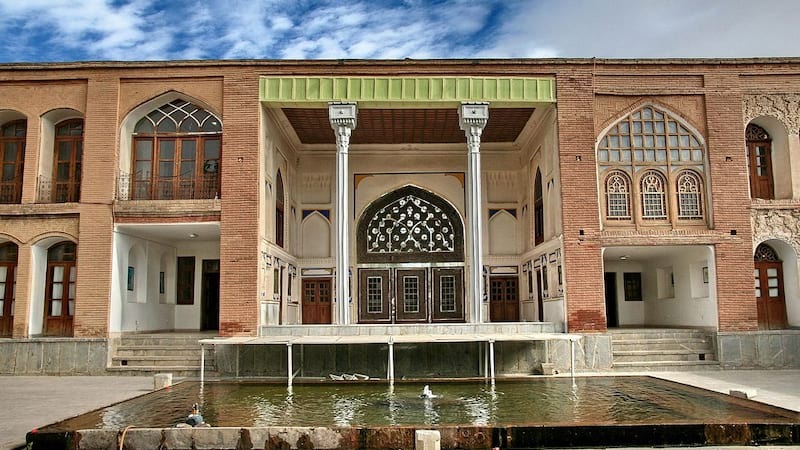 The Asif's mansion, which today includes part of the Kurdish Cultural Project, includes displays and booths, one of the oldest buildings in the city of Sanandaj, located on Shapur Street, near Dar al-Hesh Mosque. This mansion was built by Asif Azam (Mirza Ali Naqi Khan Lashkar-Nevis) during the Safavid period. Abidar is a mountain to the West of Sanandaj, Kurdistan Province, Iran. With an elevation of 2550 meters, Mount Abidar is made of Upper Cretaceous rocks and is located in the Sanandaj-Sirjan geological and structural zone. This mountain is the place where the residents of Sanandaj go hiking and has many beautiful sub parks like 'Amirieh' Jungle Park. 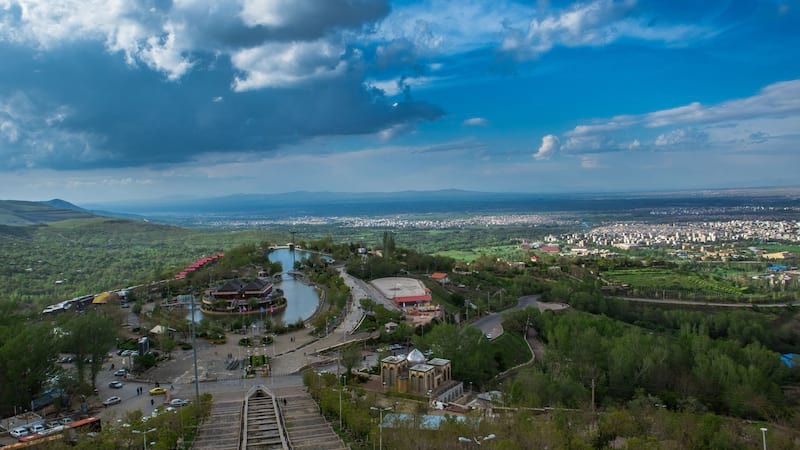 Abidar main Jungle Park was designed and renewed in 1995 by the mayor of the time, Ardavan Nosoudi. He built and designed new roads to the highest places of the mount to increase the accessibility even for older people, without destroying the original view. Overnight in Sanandaj. After Breakfast, Drive to Uraman Takht Village. En route visit Paveh, in the evening drive to Kermanshah. Uraman Takht has a very fine and pleasant weather. The area, due to its mountainous terrain, is rich in tourist attractions and natural fascinations. Some of these attractions include 'Darband Dezli' region with its highlands and green slopes and the 'Abshar Maloor' waterfall which obtains its water from the snow melting on high mountains. Terraced farms and stone architecture of terraced villages, where the roofs of one row of houses happen to be the courtyards of another row of houses situated on a higher level, add to the beauty of the region. 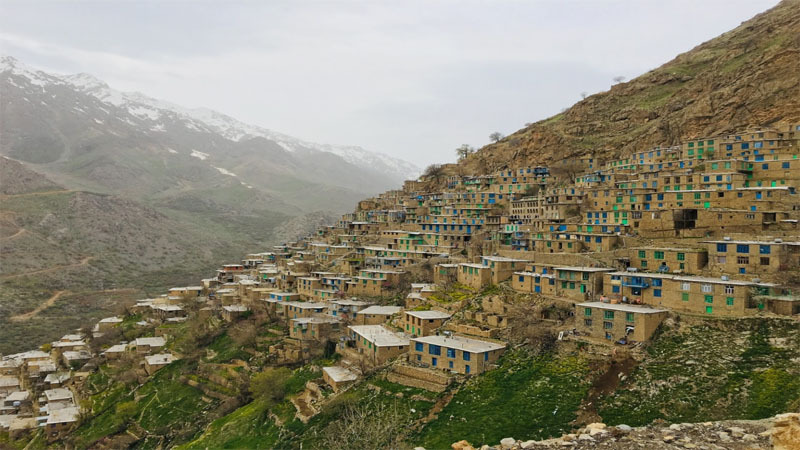 Paveh is located in the west of Iran and is 112 km far from Kermanshah and lies in a sub-region along the Iran-Iraq border commonly referred to as Hewraman situated within the larger geographical region of Kurdistan. The city is considered by inhabitants of the region as the capital of the Hewraman. Overnight at Kermanshah. After Breakfast, Full Day city tour like Taq-e Bostan and en route Great Bisoton, in the evening drive to Hamedan. 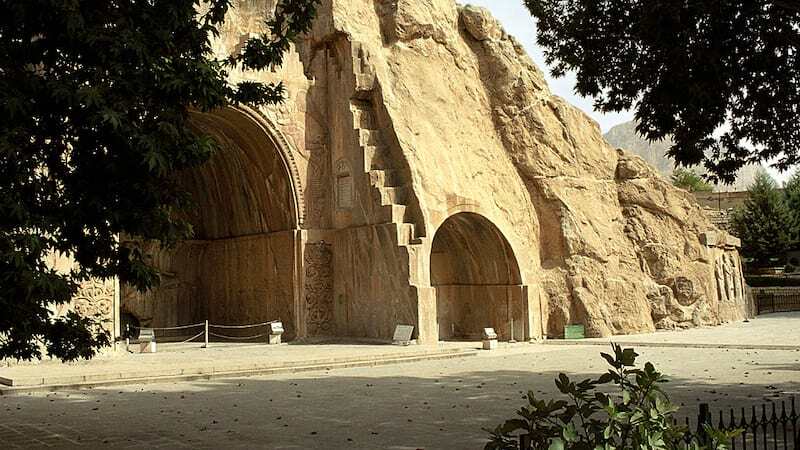 Taq-e Bostan means 'Arch of the Garden' or 'Arch made by stone' is a site with a series of large rock reliefs from the era of Sassanid Empire of Persia (Iran), carved around 4th century AD. This example of Persian Sassanid art is located 5 km from the city center of Kermanshah. It is located in the heart of the Zagros mountains, where it has endured almost 1,700 years of wind and rain. Originally, several sources were visible next to and below the reliefs and arches, some of which are now covered. Sources next to the reliefs still feed a large basin in front of the rock. The site has been turned into an archaeological park and a series of late Sasanian and Islamic column capitals have been brought together. The Behistun Inscription (also Bisotun, Bistun or Bisutun, Old Persian: Bagastana, meaning 'the place of God') is a multilingual inscription and large rock relief on a cliff at Mount Behistun in the Kermanshah Province of Iran, near the city of Kermanshah in western Iran. It was crucial to the decipherment of cuneiform script. Authored by Darius the Great sometime between his coronation as king of the Persian Empire in the summer of 522 BC and his death in autumn of 486 BC, the inscription begins with a brief autobiography of Darius, including his ancestry and lineage. Later in the inscription, Darius provides a lengthy sequence of events following the deaths of Cyrus the Great and Cambyses II in which he fought nineteen battles in a period of one year (ending in December 521 BC) to put down multiple rebellions throughout the Persian Empire. 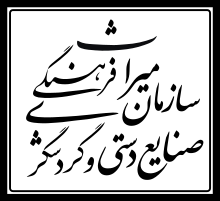 The inscription states in detail that the rebellions, which had resulted from the deaths of Cyrus the Great and his son Cambyses II, were orchestrated by several impostors and their co-conspirators in various cities throughout the empire, each of whom falsely proclaimed kinghood during the upheaval following Cyrus's death. Overnight at Hamedan. 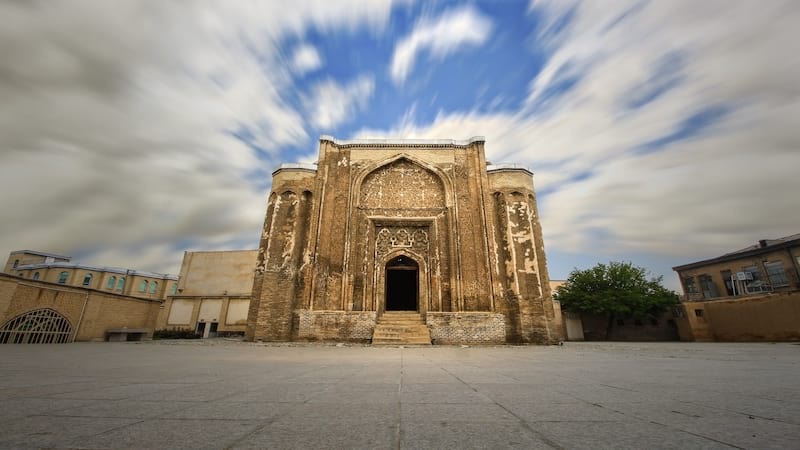 After breakfast, we start to explore ancient Hamedan, first Capital Of Aryans. Hegmataneh is universally well known because the Median Dynasty was established over there. After Medes, this city was the capital of Achaemenids as well. In the following periods- Salukis, Parthians, Sassanids and Islamic dynasties- was also very famous. The Mausoleum of Avicenna is a complex located at Avicenna Square. 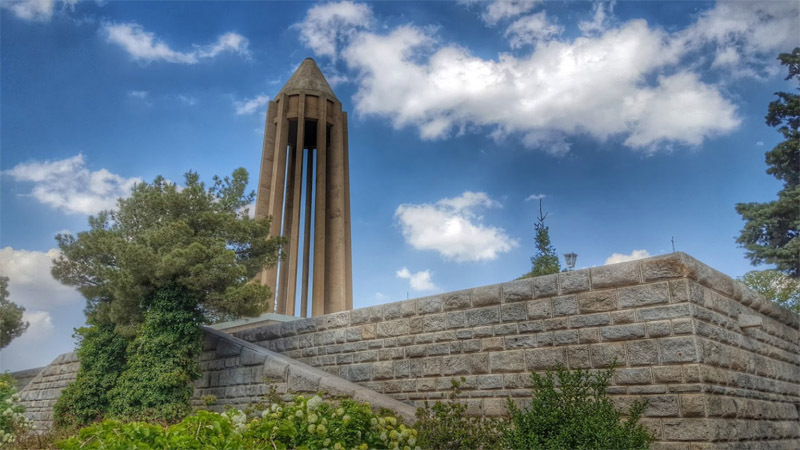 Dedicated to the Iranian polymath Avicenna, the complex includes a library, a small museum, and a spindle-shaped tower inspired by the Ziyarid-era Kavus Tower. 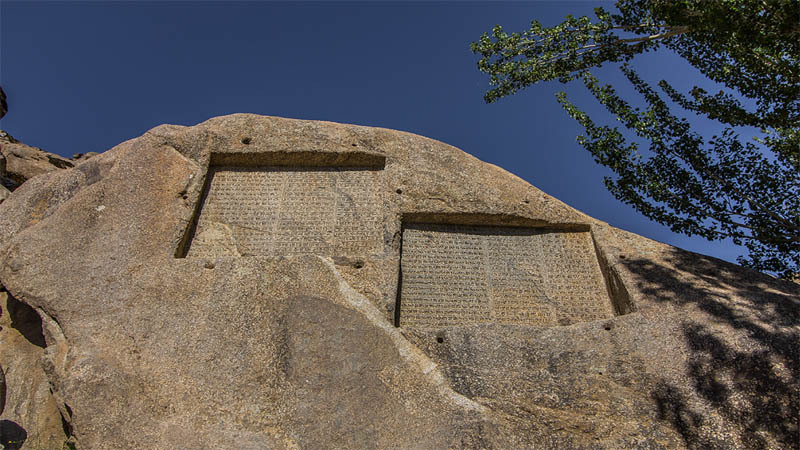 Ganj Nameh is an ancient inscription, 5 km south-west of Hamedan, on the side of Alvand Mountain in Iran. The inscriptions were carved in granite in two sections. The one on the left was ordered by Darius the Great (521-485 BC) and the one on the right by Xerxes the Great (485-465 BC). 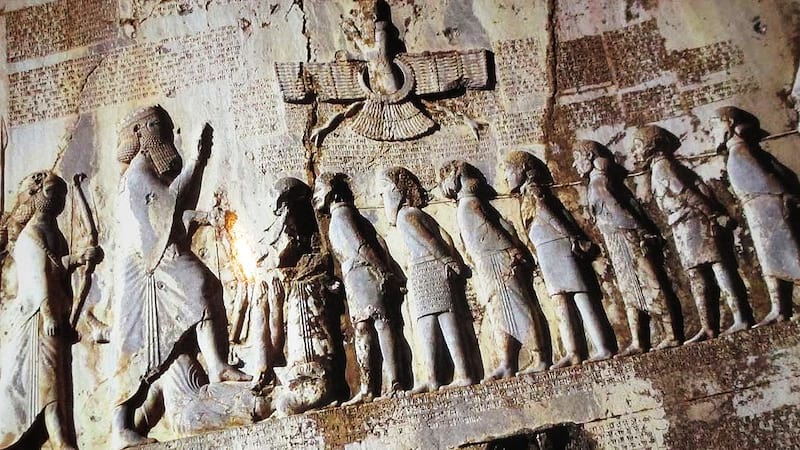 Both sections were carved in three ancient languages: Old Persian, Neo-Babylonian and Neo-Elamite. The inscriptions start with praise of the Zoroastrian God (Ahura Mazda) and describe the lineage and deeds of the mentioned kings. Overnight at Hamedan. After Breakfast, drive to Alisadr Cave, in afternoon move to Tehran. The Ali Sadr Cave originally called Ali Saadr or Ali Saard (meaning cold) is the world's largest water cave which attracts thousands of visitors every year. It is located in Ali Sadr Kabudarahang County about 100 kilometers north of Hamadan. 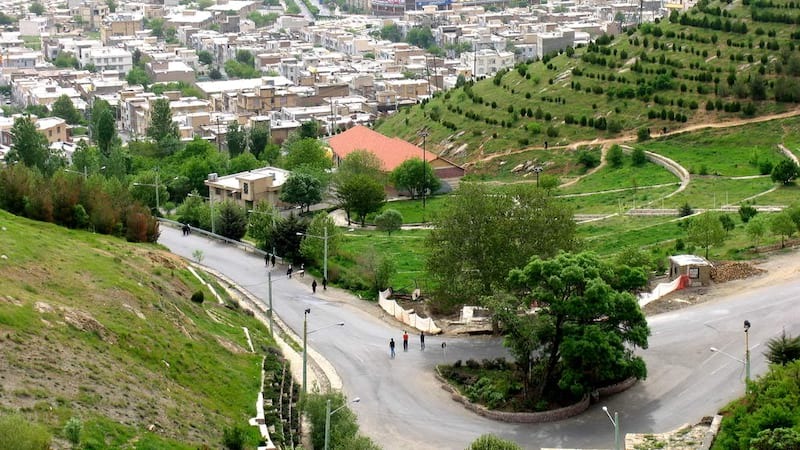 Because of the cave's proximity to large cities such as Hamadan, it is a highly recommended destination for tourists from all corners of the world. Overnight in Tehran. It's last day and after having breakfast, we transfer to the Imam Khomeini Intl. Airport. Itinerary may change due to cultural reasons, seasonal changes, Operational logistics and accessibility. There is a chance to change the itinerary as you desire, please do not hesitate to contact us.